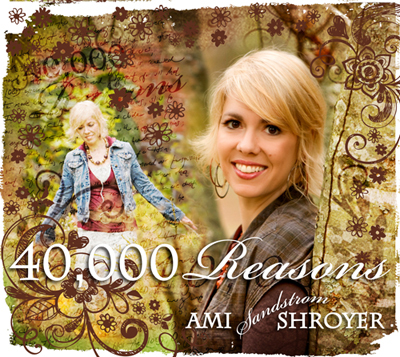 Check out the most recent personal music project called 40,000 Reasons. This was produced with my brother Jeff Sandstrom and the beautiful Cheryl Rogers. I love them both and my spirit thrives in the collective creativity that comes when we all work together! Enjoy the stories behind the songs. This music was purposed as one way to help build the Cre8 ministry as we gather with families to meet needs in the local community. Thank you for helping us Cre8!